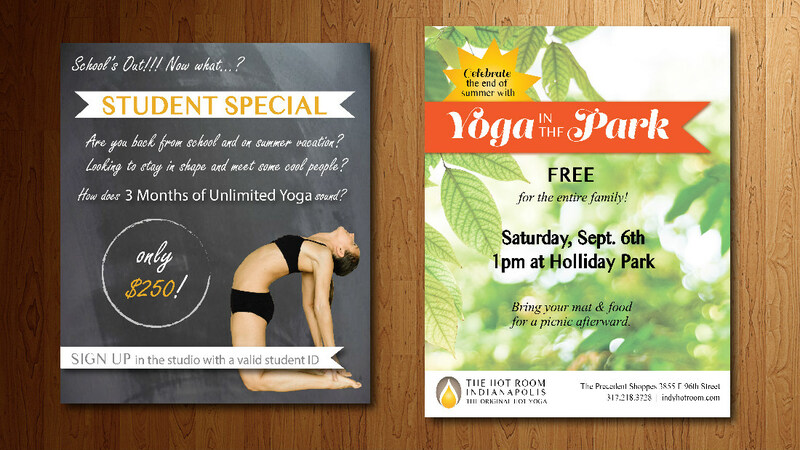 The Hot Room - Paired Inc.
We paired with Hye Jin to help make her collateral and branding be a cohesive, high-class out-pouring of her new studio. 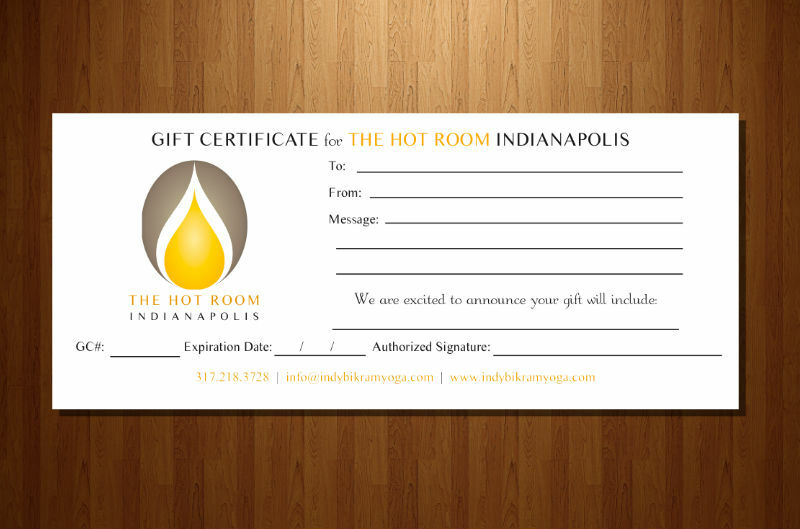 And it’s been a blast and huge blessing to be a part of this new Indy hot spot. 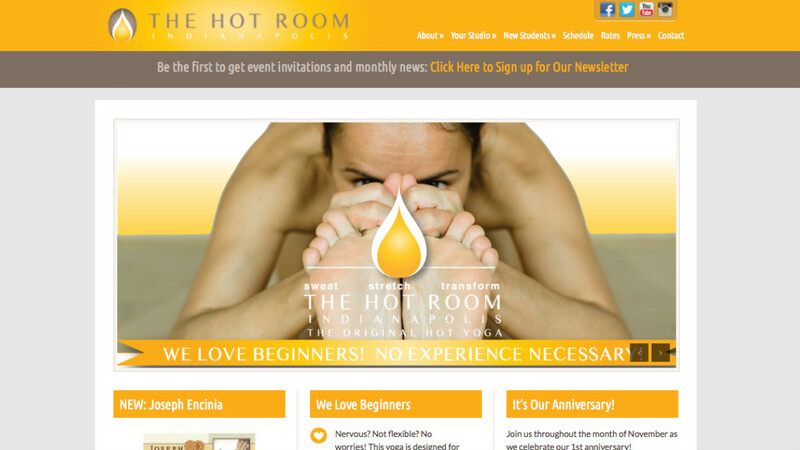 The Hot Room had an incredible opening with a sweltering average of around 200 visitors per day to her website and over 900 Facebook likes! 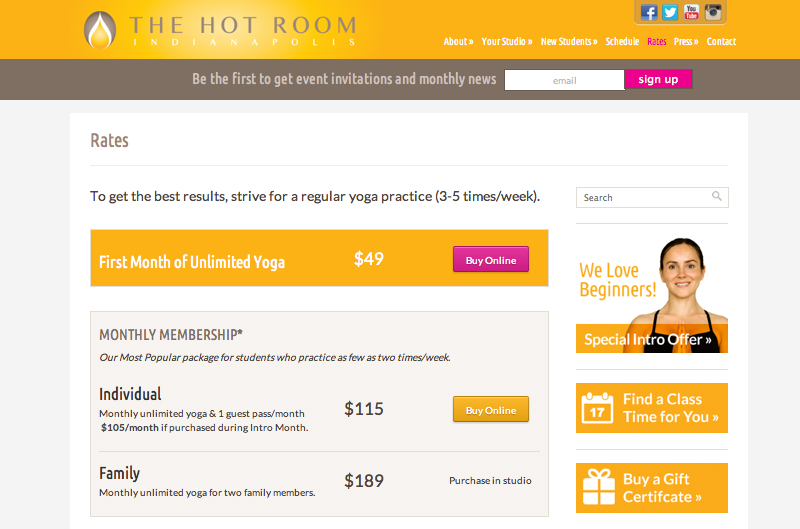 After just 6 months The Hot Room ranked in the top 3 yoga studios throughout Indy. As they celebrated their 1st anniversary, we’re excited to be a part of the team. 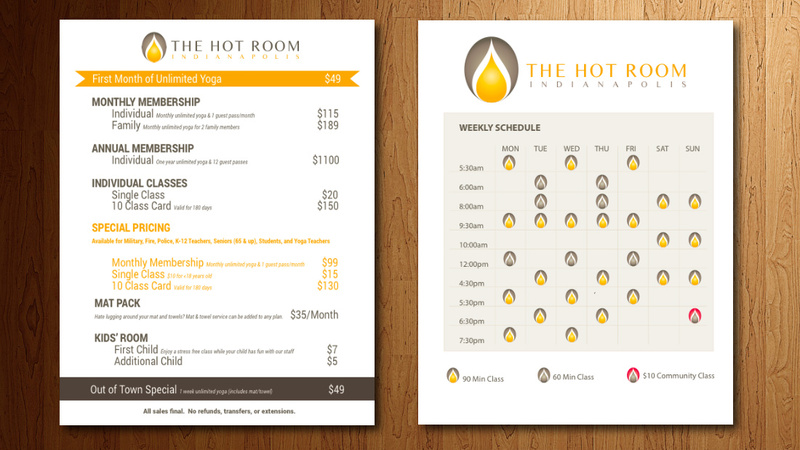 Check out the class schedule and come visit the first Hot Yoga Studio in Indianapolis!